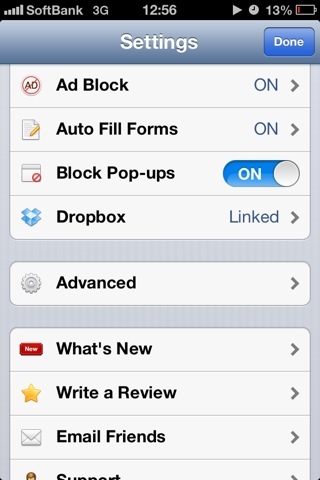 But Safari isn't perfect on mobile either. In fact, it has two major problems and one of them is driving me insane. 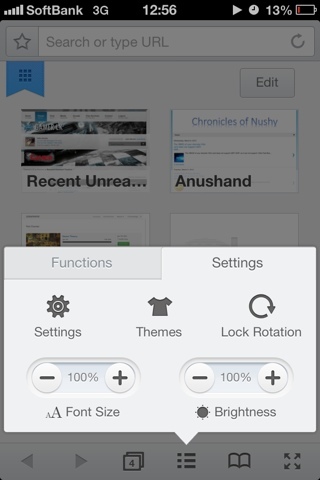 One is the lack of bookmark sync options. 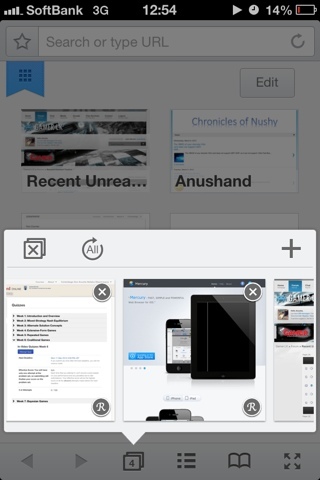 I use Chrome on the desktop and I want to sync the bookmarks between the Safari on iPhone and Chrome on Desktop. No, you cannot do that. At least, there is not straightforward way. The other issue is much worse. 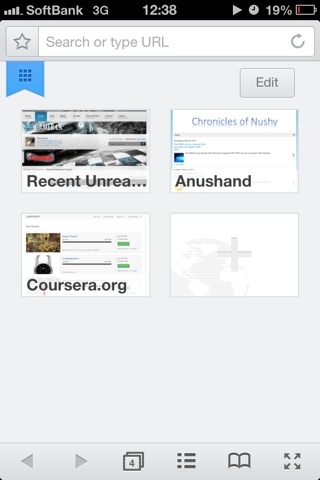 The web pages refresh when you move back to a tab from somewhere else (another tab of another app). It doesn't happen all the time but it happens too often. Either there is a timeout or Safari is clearing out the memory used by a tab that's not in focus when there isn't enough RAM. 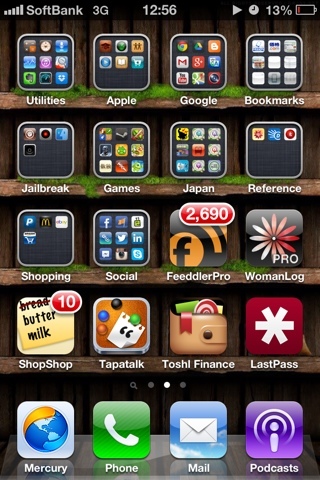 If latter is the reason, iPhone 5 should exhibit this phenomena less often. I don't know if that is the case because I don't have an iPhone 5. Couple of days ago, I was typing a long forum post and I went into some other tabs to refer to some information. When I came back to the tab that I was typing the post on, it refreshed without even asking and everything I had typed was lost. This was the incident that made me seek a solution. My friends were almost making fun of me for not using Opera (mini) but my previous experience with Opera wasn't that great. So I didn't want to try it again. 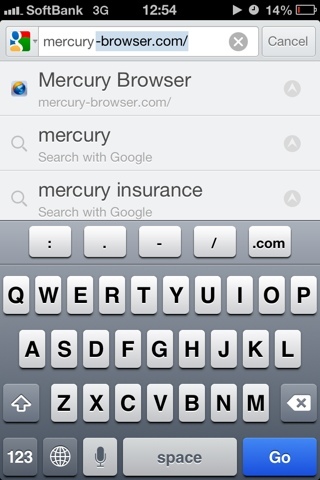 Instead I gave a shot at Mercury Browser which had pretty high ratings in the AppStore. 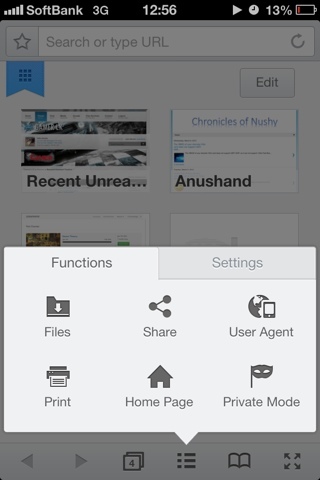 This is the main Window of Mercury Browser. It's a bit like Chrome. 2. You can sync with Chrome's bookmarks over the air. 3. It comes with an inbuilt ad blocker. 6. It has a download manager including WI-FI based based file server features. 7. You can change the user agent to one of a different browser. And it does not have this frequent page refreshing problem!!! Hurrah!!! Like everything else, it's not perfect. The UI is slightly laggier than Safari, the reader mode is not as good as Safari and the speed and you don't get enough feedback that you actually clicked a link and the page that link points to has started loading. But those are minor issues when you weight them against the pros. I guess this browser can only get better front this point.